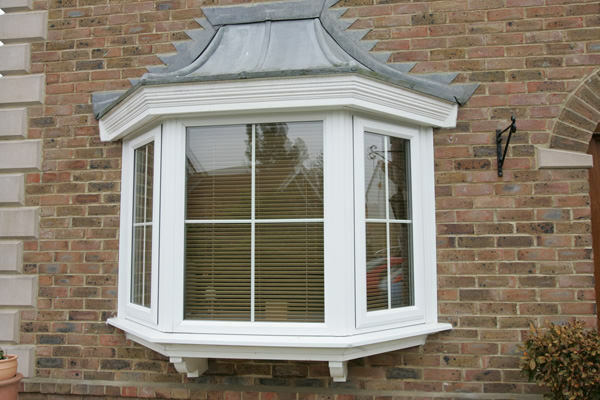 We have been installing excellent double glazing products in Cambridge homes for more than 30 years. We fit the best windows, doors and conservatories in the industry, using the latest in thermal retention technology, high-security and construction to deliver you the best product. We pride ourselves on being the best company by delivering the best product and service, something highlighted through our high rating on Checkatrade. Why not call us today on 01234 851 111 to start discussing your double glazing needs. If you want to enhance your Cambridgeshire home, then our range of uPVC and Aluminium Windows are the ideal solution for you, produced using the latest manufacturing techniques. Our windows are part of our double glazing speciality, with each window modified to your needs. 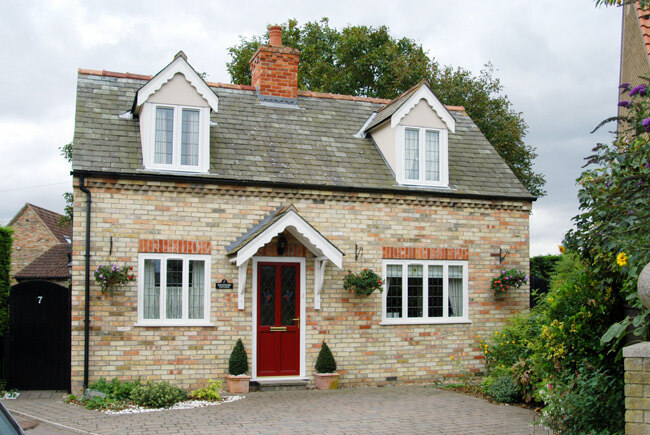 The windows are built to withstand the differing Cambridgeshire weather and made to give many years of service to your property, thanks to each window being internally glazed for added protection. Security is important when buying any window, something we at Cladwinds agree on. Our windows are built using the most up-to-date security technology. Our windows also provide a solid investment for your home, with the energy rating of WER A+21 stopping heat escaping from your home. 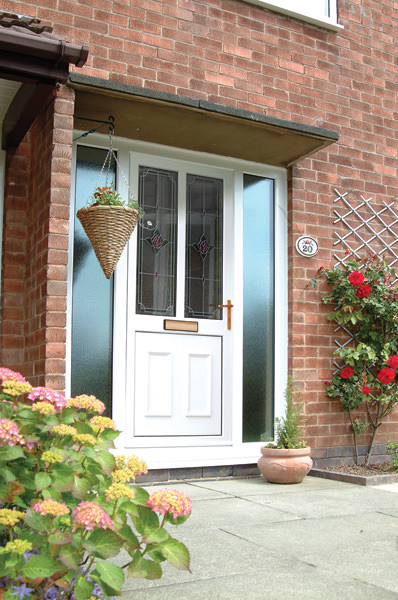 Our uPVC & Composite Door range will add a sense of style to your Cambridgeshire home. Both our uPVC and Composite profiles are built to be more energy efficient, with the components within the frame and the double glazing stopping heat escaping from your home. Like any door should, they also make your property more secure. With a variety of designs in our product range, you’ll find a style to suit your needs. Our doors are developed to a high-quality standard and built using the latest technology and locking systems. This means that your family will not be disturbed by unwelcome visitors. The uPVC door profile is the same as our window range, which not only complements it, but also enhances the look of your Cambridgeshire home. At Cladwinds, we don’t just specialise in windows and doors. 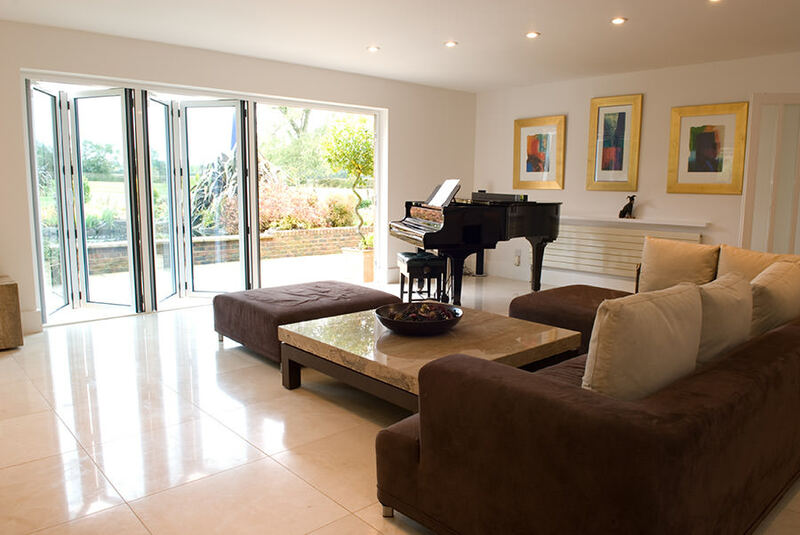 We can help you with larger double glazing projects, offering a range of conservatories and extensions. Thanks to a variety of styles and designs, these spaces can be built to fulfil your needs. We use Computer Aided Design (CAD) during the installation process which helps us to perfectly plan the layout you want for your Cambridgeshire home. Our conservatories are available in several different styles and finishes, each one fitted with high-tech locking mechanisms. The double glazing offers excellent thermal efficiency, with less heat escaping from your property and the natural light flooding in helping to heat it. In the long-term, you should save money on your energy bills. Security and thermal efficiency are just some of the benefits our conservatories can give the Cambridgeshire homeowner. We use Pilkington’s Self-Cleaning glass profile on all our conservatories, which breaks down organic dirty using daylight, washing it away with the rain. If you’re looking to upgrade your conservatory of add the final piece to an unfurnished project, then why not consider one of our conservatory roofs. 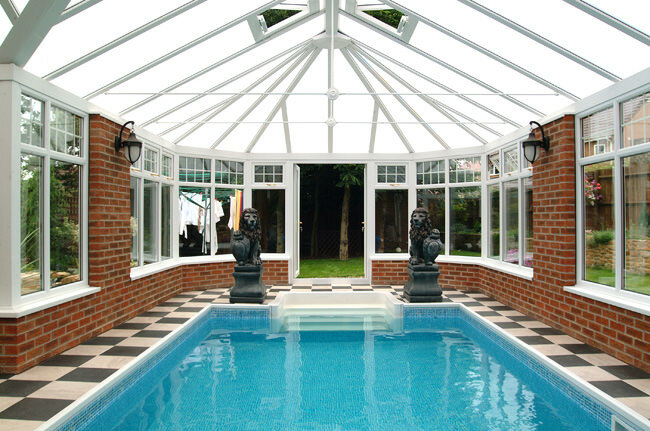 We work with two excellent conservatory roof profiles to compliment your existing double glazing. 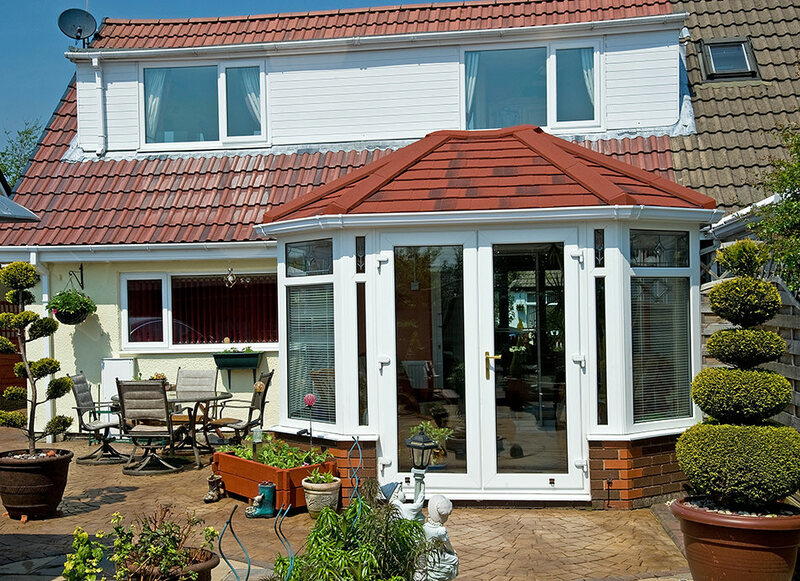 The Supalite Tiled Roof has an incredible U-value of 0.18 and is designed so you can use your conservatory year-round. The lightweight aluminium frame allows for an easy fit to an existing conservatory or for the addition of new windows and doors. You will also maximise daylight thanks to the large vents in the roof. The Gurdian Warm Roof is an energy efficient insulated conservatory roof. The efficiency has been approved by the Local Authority Building Control (LABC) and leads the market for its thermal retention. There is a good range of both external and internal finishes for this type of room and a selection of roof tiles from Tapco Slate and Metrolite. At Cladwinds, we like to think that the reason we have been so successful for more than 30 years in Cambridgeshire is due to delivering the best quality product and service to our customers. We want our customers to feel comfortable in the knowledge that their double glazing is for the long-term. That’s why we work with the Consumer Protection Association to offer an impressive 10-year guarantee on all our windows, doors, conservatories and roofs. If you have liked the look of one of our double glazing products and want to start a new project, then why not get in touch! Cladwinds’ 30 years of experience in Cambridgeshire will help give you a premium-level of service, both through our sales team and installation team. You can call us today on 01234 851 111 or you can email us at sales@cladwinds.com. If you’d like us to contact you, why not fill out our online contact form. We will answer you query as soon as possible. If you already know what double glazing product you would like to purchase, then why not get an instant quote. Just fill out a few details about your project and you will receive a bespoke estimate of how much our services will cost.